In today’s ever-changing inter-connected world, we are seeing more innovation, creativity, and collaboration coming from the entrepreneurship community of startups. Companies are realizing how important it is to infuse an entrepreneurial mindset into the workplace, leadership development and teamwork has never been so important. They know that they have to create a thriving culture that feels like a community and emphasizes self development; a place where executives are EMPOWERED, employees are ENGAGED, and millennials are ACTIVATED. They want their people thinking big, creatively, and proactively. That is real TEAMWORK! What happens at a Fresh Biz Workshop? 4 or 8 hour game-based leadership workshop that lets participants develop their entrepreneurial muscles. Players go through their own process on how they play life and business, while the facilitators support the game play. A debriefing and wrap-up takes place once the game time is up; taking a deeper look at the game dimensions, breaking down old beliefs and ideas, and presenting new game-changing ways to think and act in business. Now the business mechanics and entrepreneurial thinking have been gamified, participants are now unlocked and unleashed in their thinking about what’s possible for them. 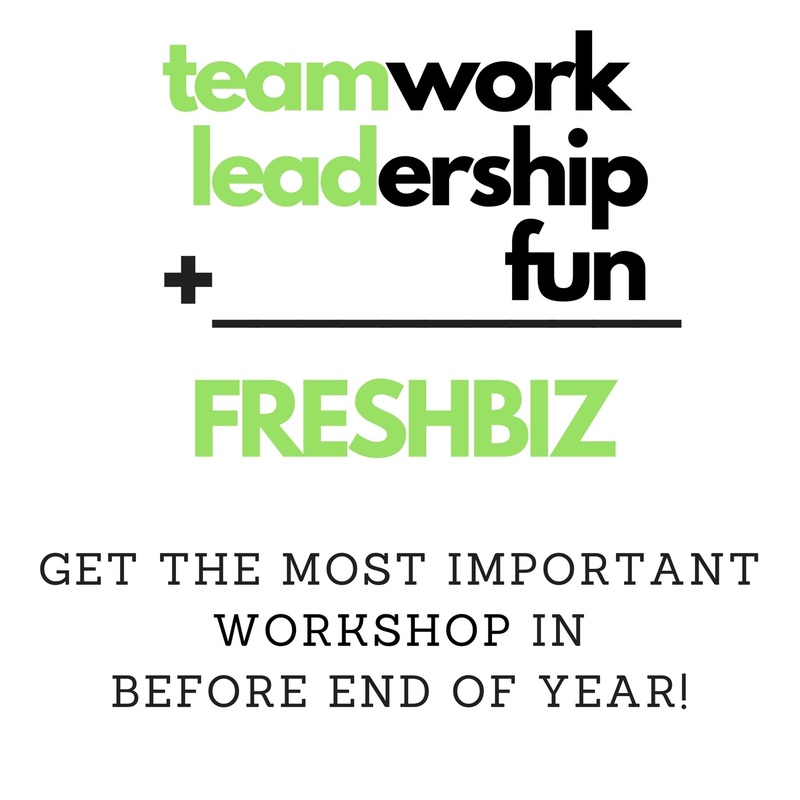 A Fresh Biz Workshop has the power to completely shift how people think, communicate, and work together. So let’s play! Get the most important workshop in before end of year!